Just a week after winning its first trophy ever, KK Blokotehna-NB is on the verge of adding another one. The BIBL champions are through to Macedonian cup final after defeating Gostivar 92-87 in a thriller. The first half was really bad for Blokotehna as the team was down by 10 points. After 30 minutes the difference went down to 5 and the teams were up for intense final ten minutes. With Bloko being 4 points down, the team went on a 12-2 run to go up by 6 and managed to hold on until the end. Brandon Penn had a great game for the winners with 30 points and 9 rebounds. 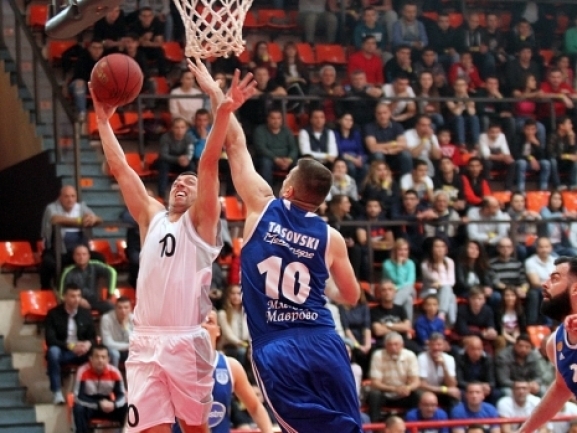 Bozo Djumic added 17 points as Vojche Lefkovski had a great return to the court with really important 12 points. In the big final tonight Blokotehna will go on against Rabotnicki and will be looking for its first domestic trophy.